Australia has a lot of parrots; 56 species to be exact. The king parrot is one of the most beautiful of them. A lot of people in our area see them as pests because they can be extremely destructive and will destroy a vegetable garden in the blink of an eye. I think they are beautiful, but I take care to keep my vegetables growing in secure cages. 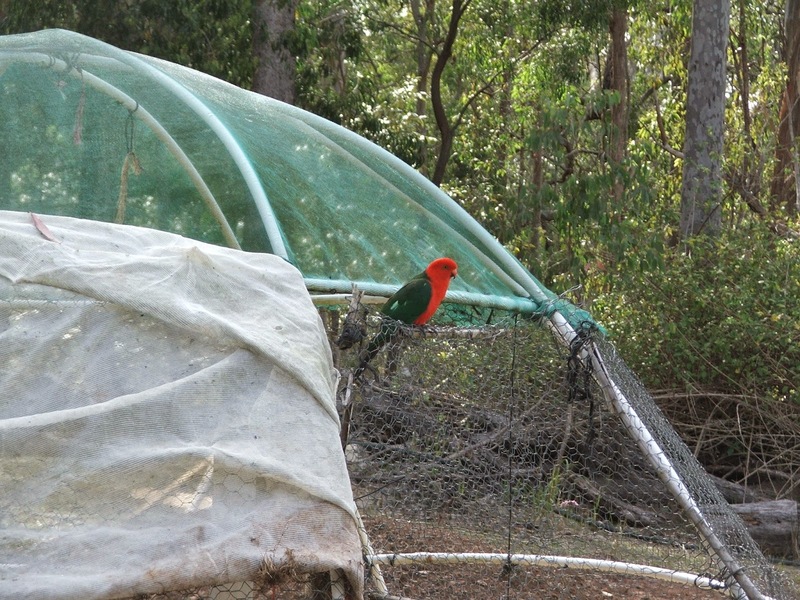 We have a little family of king parrots who visit in search of food regularly. There is Steve; the dad of the group, he may have been hand raised (I’m not sure) as he isn’t scared to come into the house to steal bites from fruit and chew things. Next is Kerry; the mum, she is shy and hard to photograph, she flies away as soon as she sees me. They have two babies every year who stay with them until they get full plumage, this years babies have yet to come to the house. Steve, waiting for me to fill the feeders. 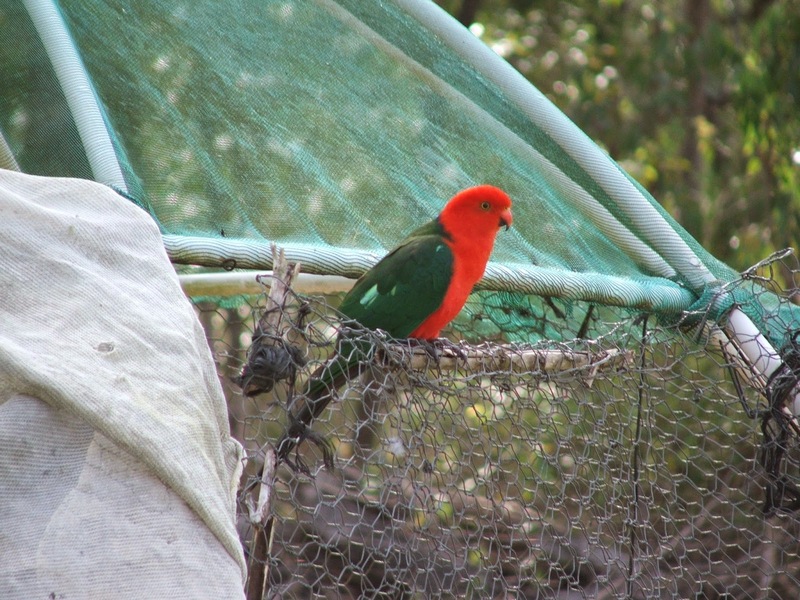 We came home from work one day and found the house in disarray, from the evidence, we had either been vandalised or the king parrot family had come over for coffee and found us not home. They pushed books off the shelves, chewed the back off a chair and tipped over some bottles in the kitchen. They also tore a cardboard box apart to expose the fire extinguisher inside, and had a good go at figuring out how to activate it (the pin was pulled out but the handle proved too hard for them to work). A close up of Steve, he was in the house and had to be caught and escorted outside. 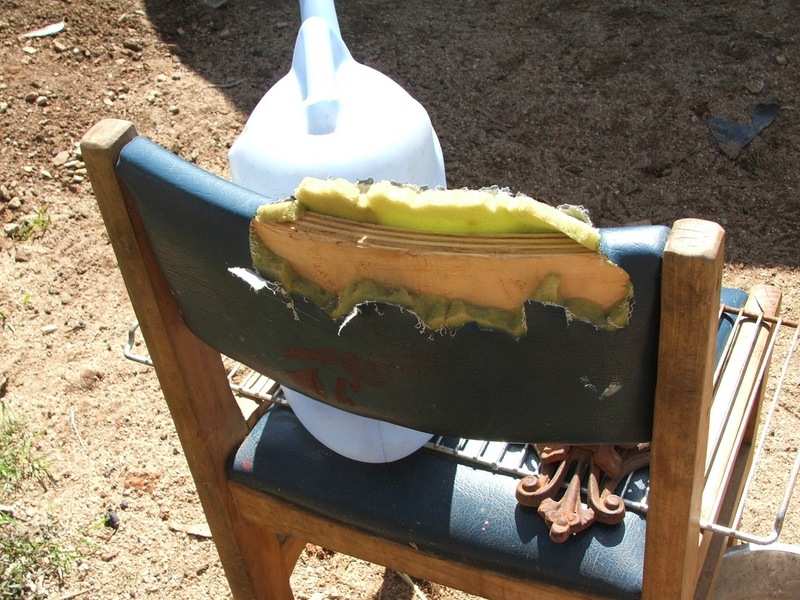 The chair back they chewed up. 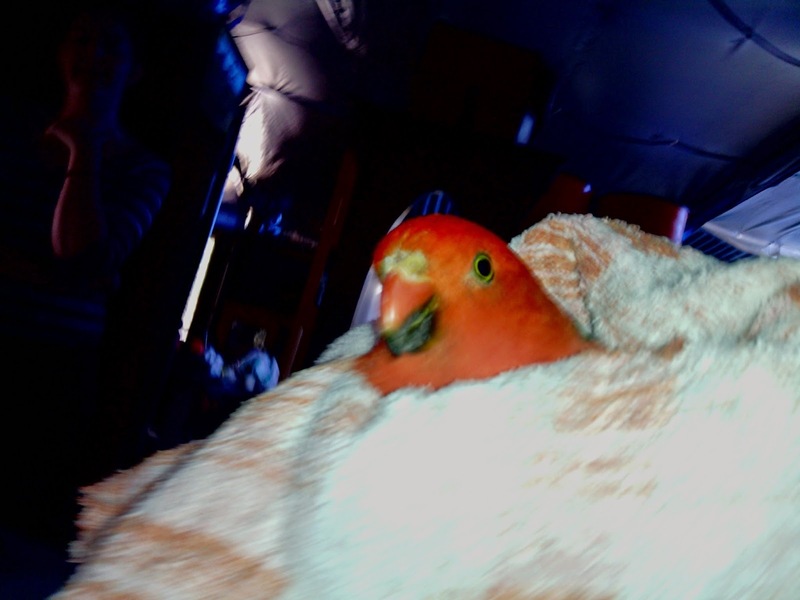 Do you have king parrots? Do you love them or hate them? Goodness me, that's so cute but so annoying at the same time! We don't have king parrots, but we do have cheeky magpies that will walk straight into our chook house. It always ends in a squabble of chicken vs magpie and feathers go everywhere. But thankfully they don't come into the house. Magpies are like that, they take every opportunity to get a feed. I have raised one or two magpies, but not recently. We have visiting family groups of them here, but our most common corvid is the Torresian crow, and of course the currawongs and butcher birds we have raised.